With no wires in the way, Bose� SoundSport� wireless headphones keep you moving with earbuds that stay secure and comfortable. With no wires in the way, wireless headphones keep you moving with earbuds that stay secure and comfortable. With no wires in the way, Bose� QuietControl wireless headphones keep you moving with earbuds that stay secure and comfortable. 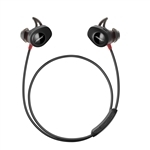 QuietComfort� 35 II wireless headphones are engineered with world-class noise cancellation that makes quiet sound quieter and music sound better.